In late 1986, the first commercial sailing vessel built in 60 years slipped out of a French dry-dock in Le Havre. 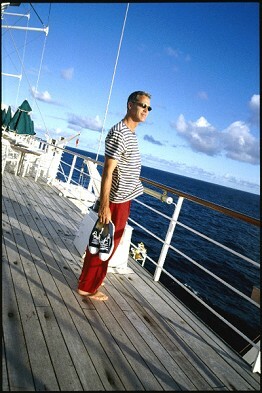 Although the towering sails echoed a bygone era of explorers, the msy Wind Star, sister ship to Wind Spirit, with its sleek lines and computerized controls, was revolutionary in concept and design. 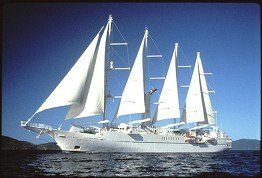 Wind Spirit is officially a motored-sail-yacht (msy), but the designation belies the vessel's unique rigging. Unfurling in two minutes at the push of a button, billowing white sails reach to the sky. All functions are operated from the bridge by computer microchips and navigational devices. The unusual “open-bridge” operation allows guests to drop by and acquaint themselves with the veteran captains and officers who demonstrate the ship’s intriguing capabilities to modern day explorers.